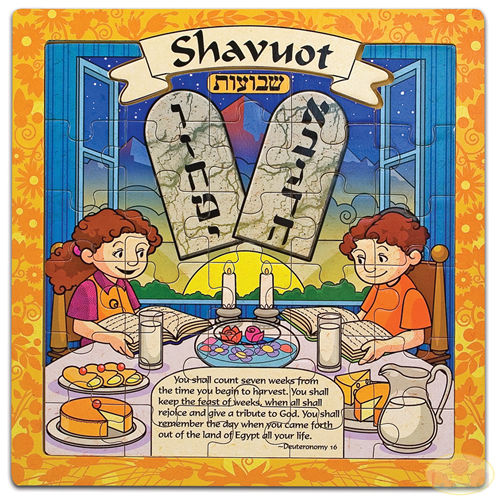 Tomorrow (Saturday) Night at sundown, the Jewish holiday of Shavuot [“Shah-Voo-Oat”]–also called, Shavuos–begins and goes until nightfall Monday. So, I will be out of Internet commission and celebrating the Jewish holiday. My movie reviews are scheduled to go up soon, and I’ve prepared my Memorial Tribute to those who made the ultimate sacrifice and that will go up in my absence, Monday. Shavuot is the Jewish “Festival of Weeks.” It is also referred to as “Pentecost,” not to be confused with the Christian “Pentecost.” It is one of the three Jewish harvest festivals, and it is the holiday on which we read the Book of Ruth, about the woman who is probably the most famous convert to Judaism. To my Jewish friends and readers, Chag Shavuot Sameach [a Happy Shavuot Holiday]. To everyone else, the holiday is a celebration of G-d giving the Torah and the Ten Commandments to the Jewish people. On the holiday, men traditionally stay up all night, the first night, in Bible (Torah) study, and we eat dairy foods. As I’ve noted previously, women can also stay up all night, and some liberal Jewish women do. But since we’re not obligated and I’m not a stupid feminist, I take (and enjoy) my non-obligations as a woman very seriously. It pays not to be a feminist. And this is just one more of the many ways. To learn more about the holiday, go here and here. While I’m gone, my Memorial Day tribute to our fallen, which I’ve written in advance, will go up. Stay tuned. And see ya again live on this site, real soon. Happy Shavuot Tov Debbie!! Happy Shavua Tov Everyone!! May our True GOD who art in HEAVEN Bless the United States of America again!! Everyone PLEASE PRAY for our Judeo-Christian Nation USA and Israel-Yisrael Everyday Everyone!! Am Yisrael Chai FOREVERMORE!! SHALOM ALWAYS EVERYONE! !